The first Bitcoin-based ATMs will arrive in the US later this month according to Las Vegas-based manufacturer Robocoin. Kiosks in Austin and Seattle will soon allow users to sell Bitcoins for cash, buy additional coins or simply transfer virtual funds using their digital wallet. The machines cost around $19,000 each and offer an added layer of security over a traditional ATM. An integrated scanner is used to read government-issued IDs, driver’s licenses or even passports to confirm a user’s identity. They’re similar to the Bitcoin ATM first deployed in Vancouver late last year. That machine, serviced by local operator and broker Bitcoiniacs, reportedly processed more than $900,000 in transactions in the first month alone. Although the Vancouver ATM is automated, it’s regularly accompanied by a Bitcoiniacs representative that assists customers should they run into any problems. In related news, Bitcoiniacs recently announced plans to expand their Bitcoin ATM venture to London and Singapore as part of a larger global expansion. 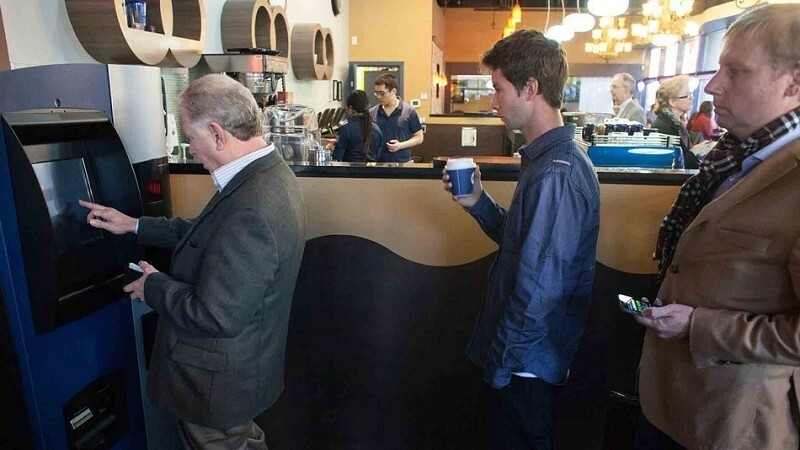 Much like the Vancouver setup, the machines will likely be placed inside local cafes or coffees shops. It’s unclear at this hour which company or exchange will be operating the systems destined for the US. Furthermore, Robocoin didn’t reveal if the operator would hire someone to monitor its use as is the case in Vancouver nor do we know what percentage the operator will take as a service fee from each transaction.